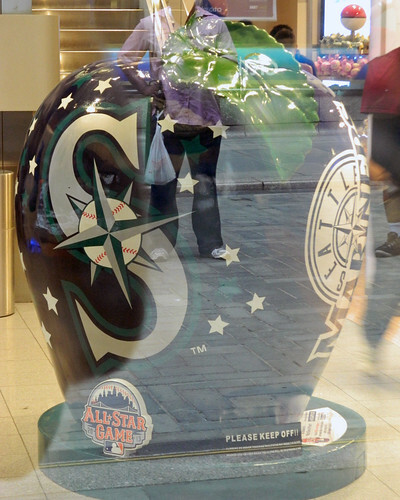 After Sunday’s Mets game, I stopped to look for a few more of the All-Star Apples that have been set up throughout Manhattan to promote the All-Star Game. 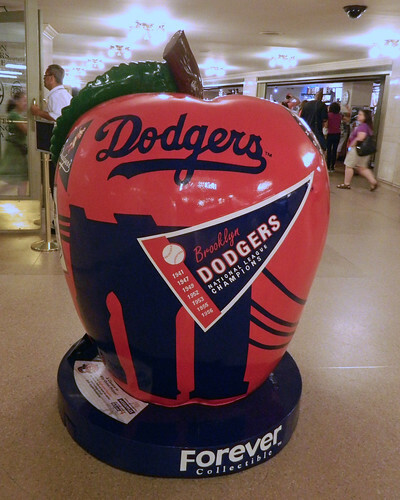 The New York Giants Apple at Grand Central Terminal was easy to spot. The Brooklyn Dodgers one (also at Grand Central Terminal) took a little longer to find. Both are near stairs down to the dining concourse area. 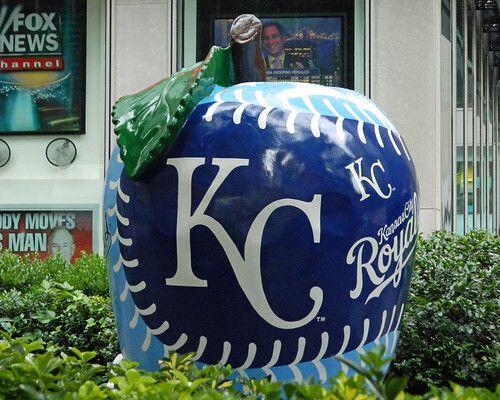 The Royals Apple is in front of the Fox building on Sixth Avenue, across from an entrance to the 47 – 50 Sts – Rockefeller Ctr subway station. 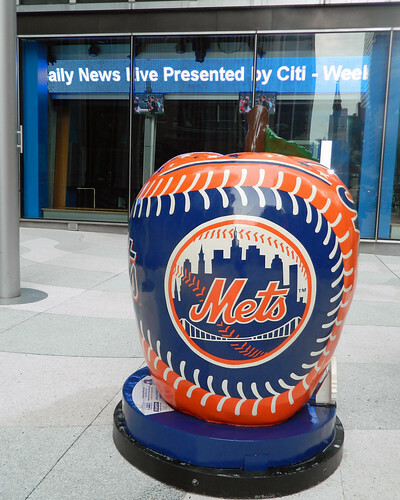 And up a little further on Sixth Avenue, you’ll find the Mets Apple outside SNY Studios. So far, I’ve found nine of 35 Apples. You can see the rest of my photos, including alternate angles of most of these Apples, at my Flickr account. That’s awesome they are doing that. I kind of wish I still lived in Jersey, I’d go on a scavenger hunt! If I had a little more free time (and if they still sold one-day unlimited ride Metrocards), I’d try to find & photograph all 35. I figure I’ll get to a few more on July 4th, maybe, or on All-Star Sunday. I work in the Grace Building. 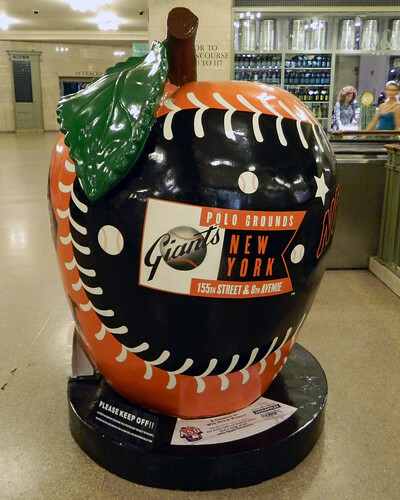 The Marlins apple is in “Grace Plaza” on 43rd and 6th. I passed the Royals apple the other day and there were gates all around it blocking you from getting close. At least I was able to get fairly decent shots of three sides of the Royals apple. I would have been more annoyed if I had wanted a photo WITH it instead of just pictures of it.